Would you like to learn more about performing multiple sequence alignments in Lasergene? 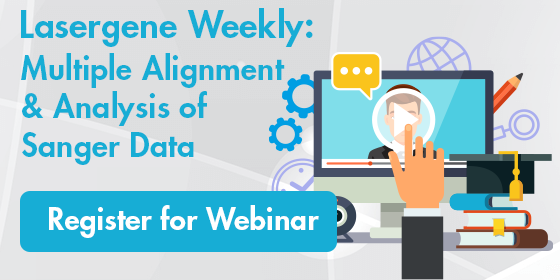 Join us for a webinar next week, where DNASTAR’s Brian Walsh will give a live demo showcasing some of MegAlign Pro’s multiple alignment algorithms. The 30-minute webinar will also demonstrate how to concatenate data sets and how to perform a whole-genome alignment.